Every business has a fiscal year. A company's fiscal year is its financial year; it is any twelve-month period that the company uses for accounting purposes. The fiscal year is expressed by stating the year-end date. A fiscal year end can be the end of any quarter such as March 31, June 30, September 30, or December 31. To confuse the issue, the IRS says a fiscal year is "12 consecutive months ending on the last day of any month except December 31st." The IRS distinguishes "fiscal year" from "tax year," stating that a tax year can be either fiscal year or the calendar year. A “tax year” is an annual accounting period for keeping records and reporting income and expenses. If your fiscal year ends on December 31, you're using a calendar year as your business tax year. Your business fiscal year is internal; at the end of your fiscal year, you report on your business financial situation to your shareholders, or just to yourself. Your business tax year is external; it's the twelve month period you report on to the IRS for tax purposes. Your business fiscal year is almost always your tax year, but it doesn't have to be. A corporation with a March 31 fiscal year end may also file a corporate income tax return, effective March 31. Why Does My Company's Fiscal Year Matter? It depends on the type of business you own. If you have a seasonal business that has highs and lows in sales and activity, you may decide you want to have your business fiscal year be the end of the quarter after the activity has ended. This makes it easier to see how your business has done for the year. For example, a retail business that does all its sales over the holidays may want a December 31 year end. How is My Company's Fiscal Year Used? Your fiscal year is primarily used for tax purposes. The IRS has a special term called "fiscal year taxpayers." This type of tax filer files on a fiscal year basis, rather than a calendar year basis. Partnerships, corporations, and S corporations may have a fiscal year-end that's different from the calendar year-end. Fiscal year end is also used to determine the filing dates and due dates for extensions. Do I Have to Have a Specific Fiscal Year, by Law? Your business can have any fiscal year you want, depending on your business type (see below). But it's almost impossible to have NO fiscal year because the IRS will ask you for this date. The IRS has some requirements for tax years. A business taxed as a sole proprietorship (which files its business income tax return on Schedule C), must use December 31 as the business tax year. Because single-member LLC's are taxed as sole proprietorships, they must also use a December 31 business fiscal year. 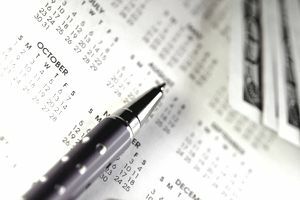 What is the Best Date for My Fiscal Year End? Type of business - A sole proprietorship or a business that is taxed as a sole proprietorship (single-member LLC, for example) must use a December 31 fiscal year-end to match the personal tax year end. Business cycle - If your business is not taxed as a sole proprietorship, you can choose the end of any quarter for your fiscal year end. Most companies base their fiscal year-end on the business cycle for their industry, choosing the end of the busiest time for their fiscal year end. Companies that do most of their business in the summer might choose a September 30 year end. If your business does a lot of work with the U.S. government, you might choose a September 30 year-end to coincide with the federal government's year-end. If your business does most of its selling during the holidays, you might choose December 31. How Do I Change My Company's Fiscal Year? Since a fiscal year is an internal matter, your business can make changes in the fiscal year according to your corporate by-laws, any partnership or LLC agreements, or by other means (consult your legal advisor). Do I Have to Report My Fiscal Year to the IRS? No, but you must let the IRS know which tax year you are using. The IRS says, "Unless you have a required tax year ([sole proprietors, for example], you adopt a tax year by filing your first income tax return using that tax year." If you change your fiscal year, you must change your tax year. If you want to change your tax year, you must have IRS approval. File Form 1128 - Application to Adopt, Change, or Retain a Tax Year.